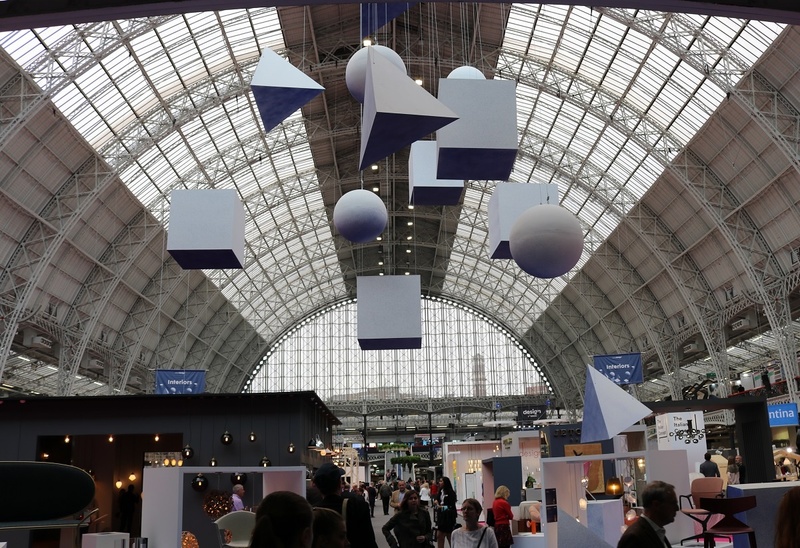 100% Design brings together some of the world's most influential architects, designers, specifiers retailers and developers all under one roof. A cornerstone event of the London Design Festival, this fabulous show based in Kensington's Olympia showcases the best brands in London for design, detail and craft. We headed down there yesterday to take a look at whats on show this year, and highlight some of our favourite exhibits. If you are heading down over the next few days, check out our little guide of items and exhibits you definitely have to see! 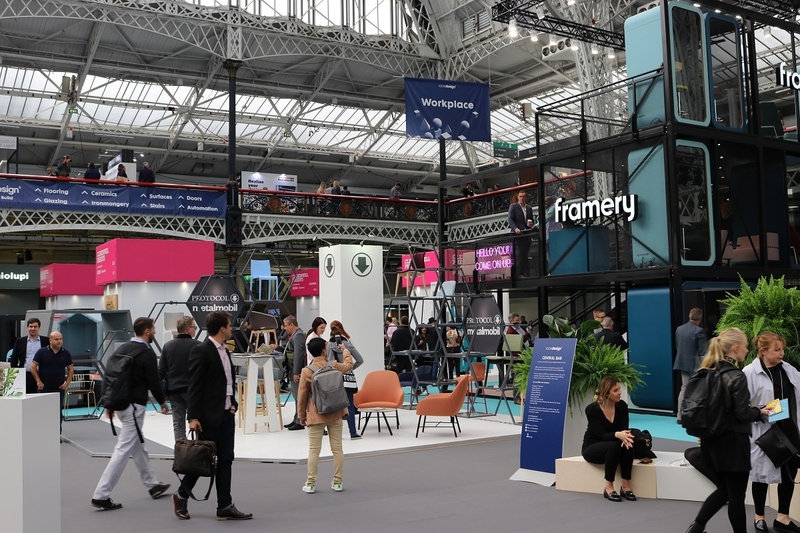 The first thing you notice upon entering 100% Design is Max Fraser's Elements installation, suspended from the Olympia's iconic barrel-vaulted ceiling. Taking advatage of the beautiful interior, the installation is a celebration of the ingenuity which goes into design; appreciating the smaller things which appear insignificant, but are key to good design. Here's Max speaking on the subject: "What are the elements of a design that we could better explain? 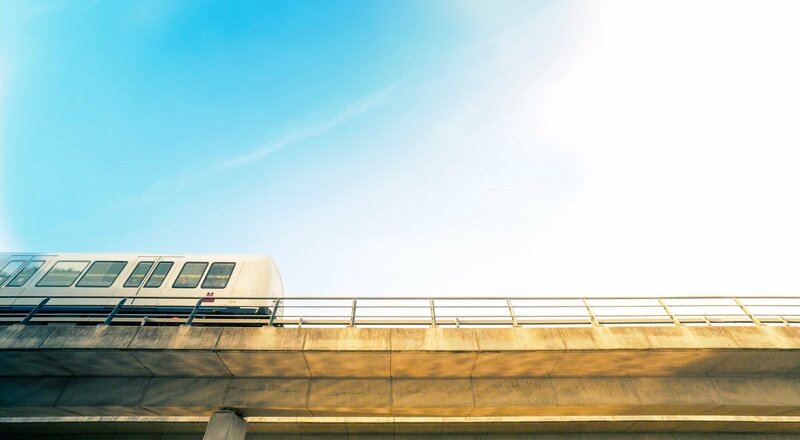 What details were particularly difficult to overcome? 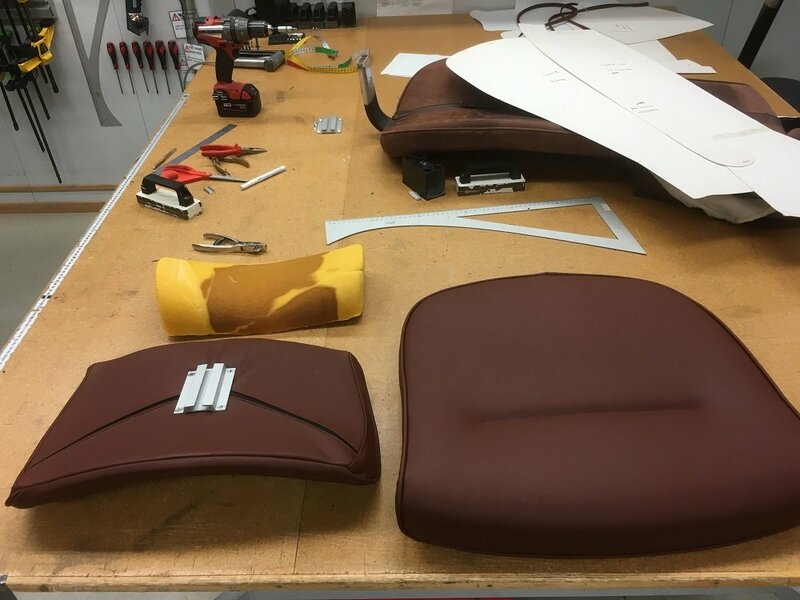 How have materials been engineered to, say, give us a correct back support on a chair? 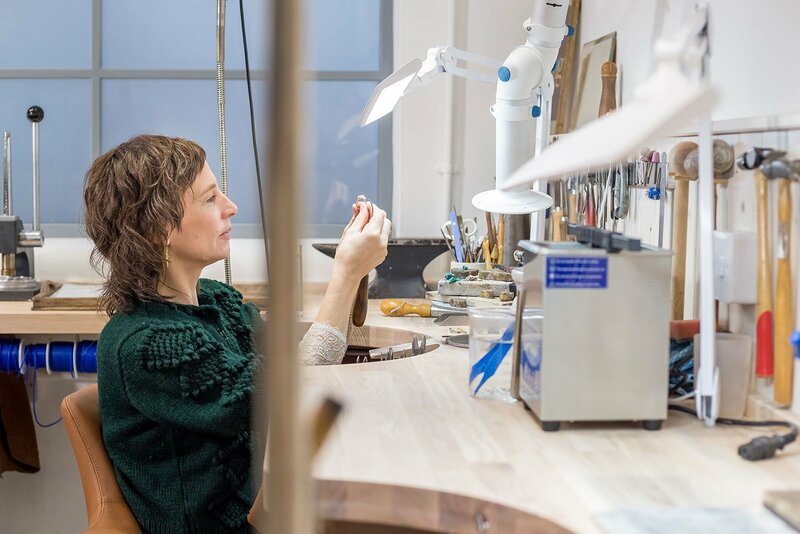 This feature brings to our attention the intelligent design solutions, sophisticated tooling or innovative production techniques that we might not normally appreciate." Where can i see it? Once you enter the exhibition hall, look up! 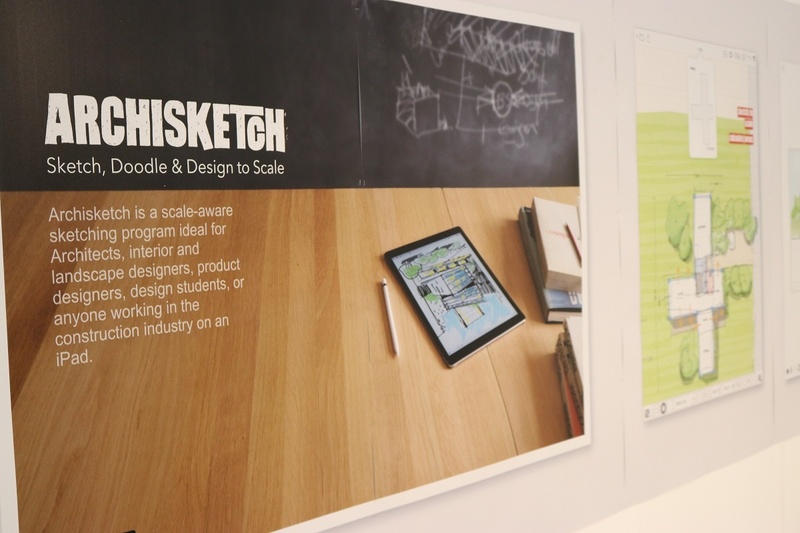 Launched in the sumer of 2016, Archisketch 2.0 is a tablet based design tool for architects and interior designers, who are at the initial stage of the design process. Scale aware, this easy to use and visually appealing tool enables you to sketch freehand concept drawings for early stage meetings and collaboration. If you need a bit more details, isometic and anexometric shapes are enabled, and you can plot the whole thing on a perspectice grid. We downloaded the trial version for free direct to our Ipads, and it is incredibly intuitive and a tidy little piece of software. For 2017 we were asked to feature in the Clerkenwell Presents area, which showcases the best of the brands who have showrooms in the Clerkenwell District of London. 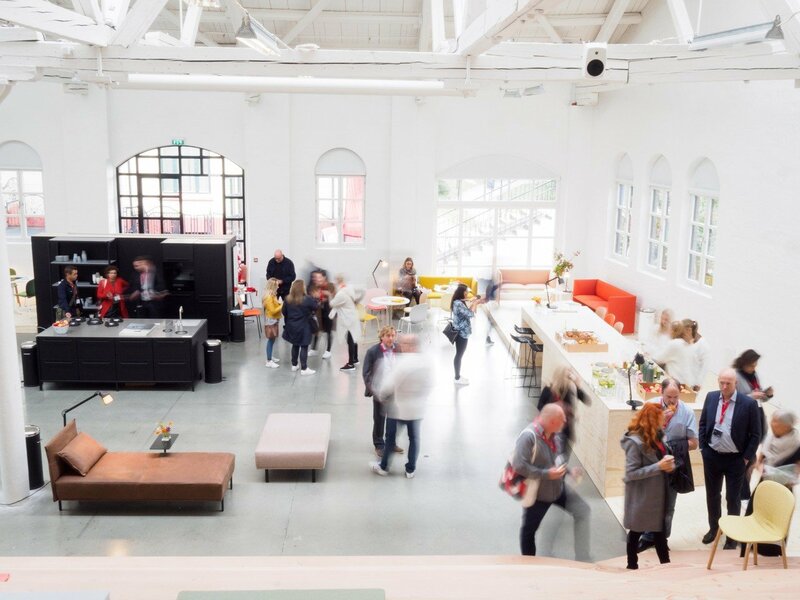 We have a little slice of a few of our brands, showcasing HÅG, RBM & a little bit of Offecct. We have the HÅG SoFi mesh on display, as well as a variety of RBM Noor, showing off its versatility, with upholstered and unupholstered seatpads in this seasons colours. Plus we also have some of the RBM X FEATHR collab chairs and their full range of prints to choose from. 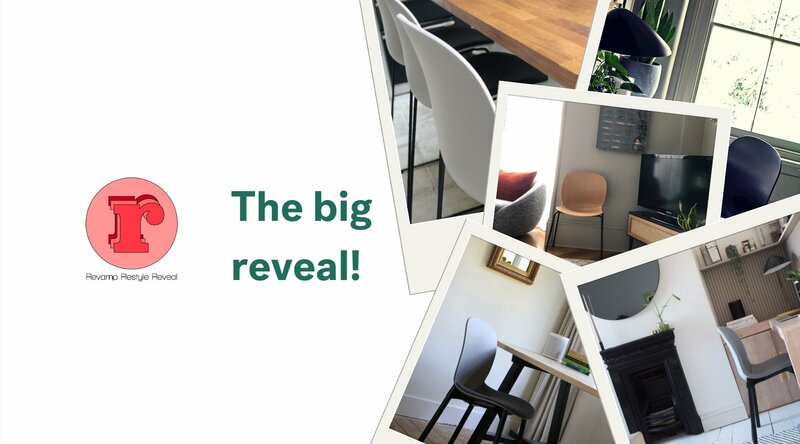 You can also try out the iconic HÅG Capisco, see the RBM Twisted Little Star, and the Offecct Carry-On Stool. 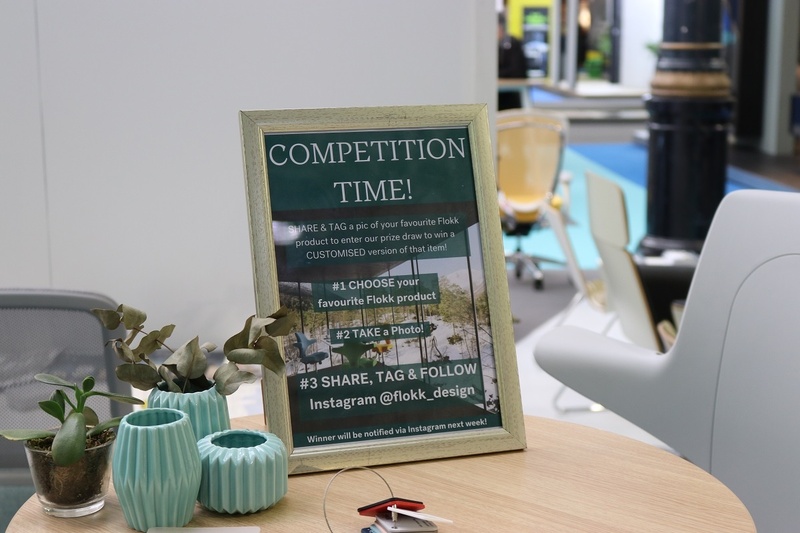 One thing you have to do at 100% Design this year is enter our competition! It's very simple, just head over to our stall, located in the 'Clerkenwell Presents' section of the Workplace hall, and find your favourite piece of furniture. Take a picture, upload it to Instagram and tag and follow our official account. And if that isn't enough, we have biscuits too! Where can I see it? 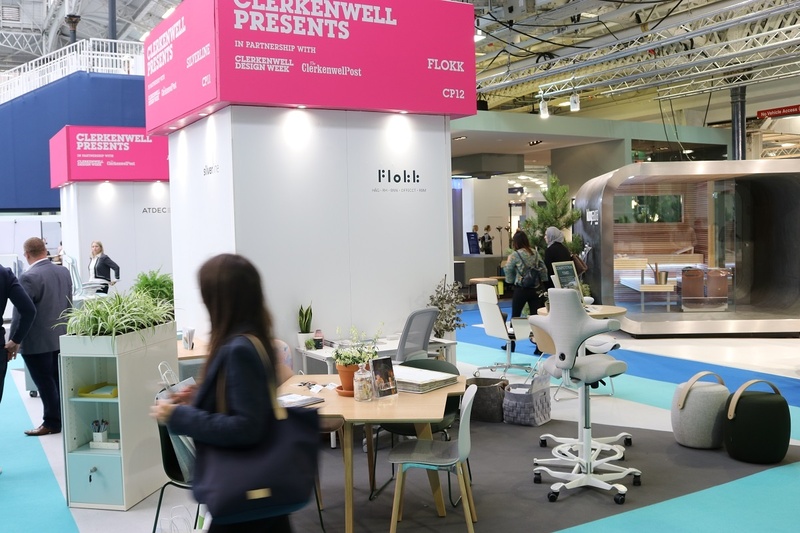 Clerkenwell Presents, Stand CP012, in the Workplace hall. 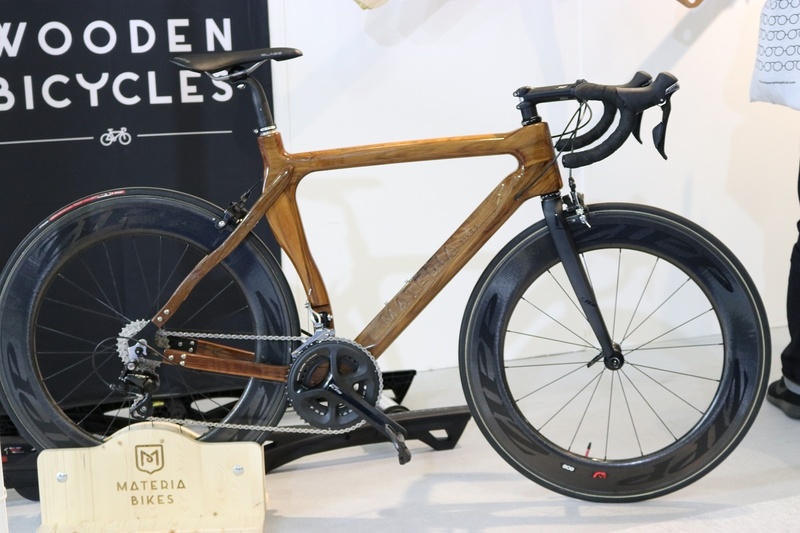 Cycling is big business in Europe and beyond, and Design by Motion's Materia Bikes are breathtaking beautiful and sustainably built bikes for the cycling connoisseur. With their HQ in Latvia, Design by Motion build a variety of exquisitely crafted wooden bikes, cut, carved and then fitted out with all the technical pieces, the bike frames are solid wood, made from a choice of woods, including redwood, ash, or walnut, which are then polished and lacquered to perfection. They really do look magnificent, and anyone with even a passing interest in cycling should go take a look, but unless you have several thousand euros in your pocket, looking is all you will be doing. One of my favourite inventions of recent times has been the Farmbot, a grow your own food robotic farmer whose preview video went viral last year. However, with an inital price tag of nearly $3,000, its not a small purchase. At 100% design we spotted the Green Farm, a less technical home gardening kit that still yields good results. 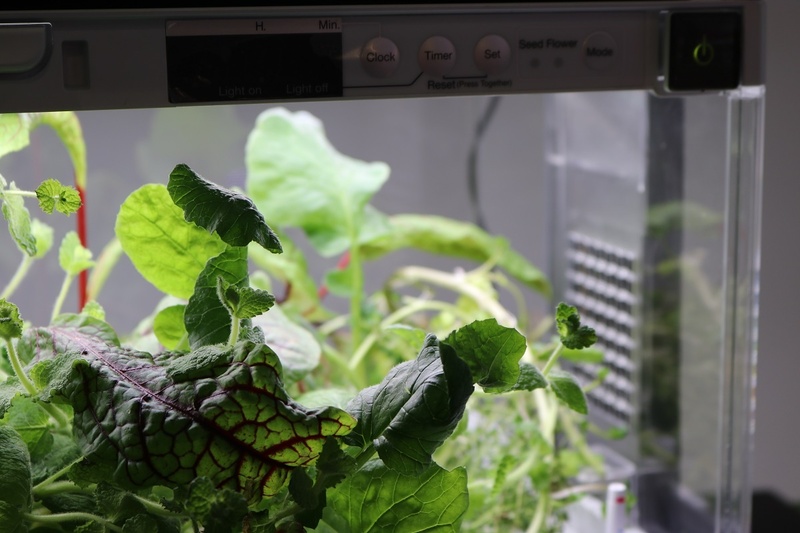 This small hydroponic kit needs just water, minerals, power and seeds, and allows you to grow a variety of greenery, from lettice to lillies, all at the switch of a button. Simply put in your seeds, add your fertaliser and pick at what time the lights come on. the rest is taken care of and you just have to wait for the results! Whilst not quite as exciting as the Farmbot, this is still a nifty little device, especially for those who have no outside space in which to garden. Where can i see it? Opposite the Flokk stand! 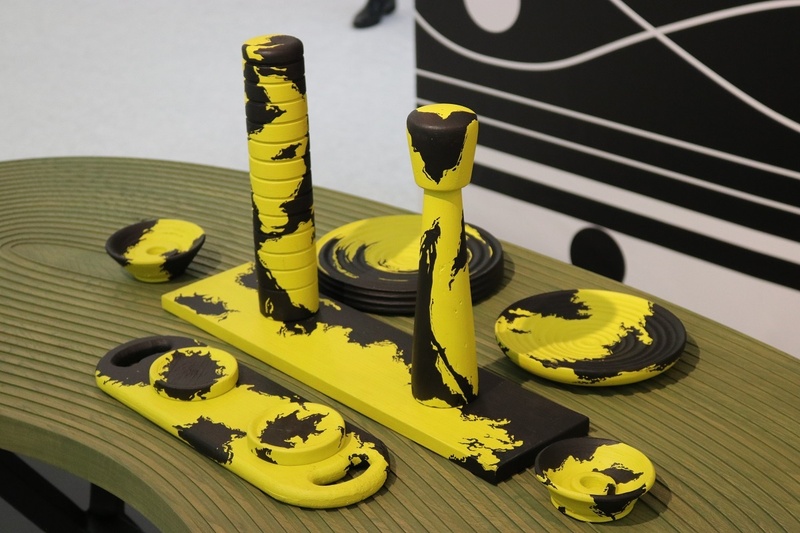 One of this years exhibition pieces was a collaboration between Italian thermoplastics yarn and textile manufacturer RAMFIL and artists Christine Joan & Francesca Delfini. 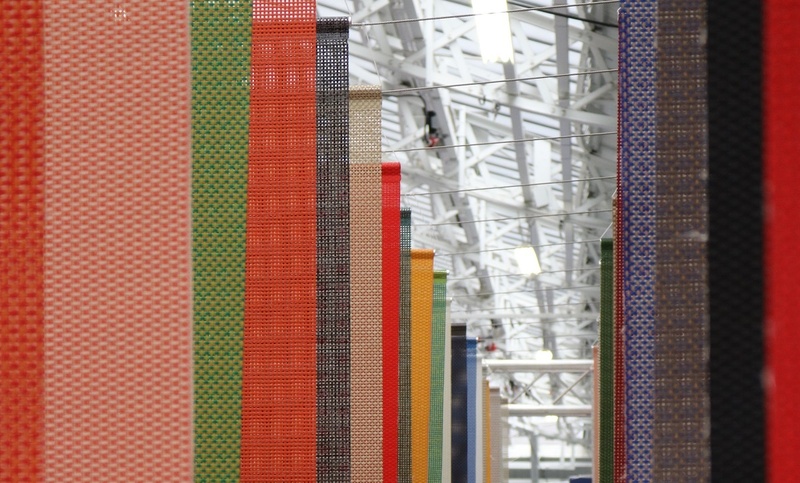 Entitled "L'incontro" (The meeting), this exhibit showcases the latest pieces from RAMFIL, whose hi-tech weaves are made from recycled plastics. 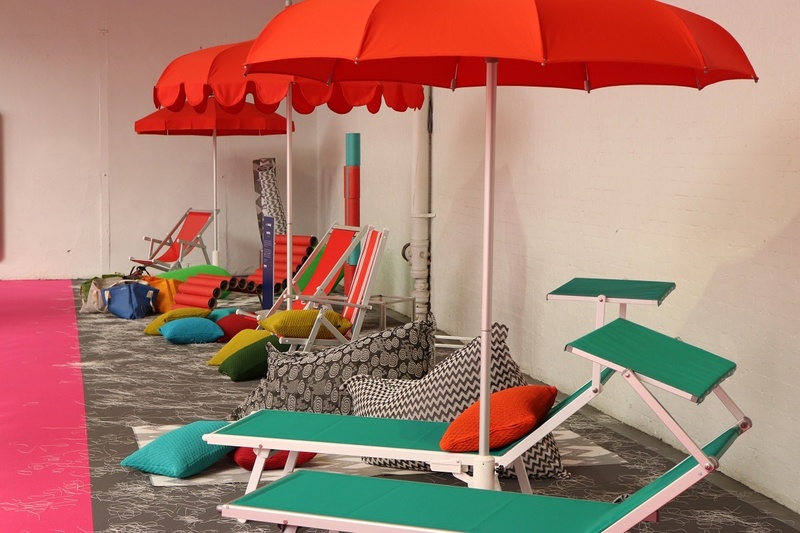 Upstairs on the balcony, they also created an immersive exhibit, the Fabric Rainfall, which visitors can walk through and experience a shower of colour. 100% design's homeware hall has some beautiful domestic use products from around the world, and there were several designs we particularly enjoyed. Inspired by the skyline of Johannesburg, South African artist Thabisa Mjo is has created this striking table set, including salt and pepper shakers, plates candle and spice holders. Thabisa is the creative force behind South African interior designers Mash. T Design Studio. Freshwest are a design due from Wales and they have designed this playful storage space that resembles a giant jenga set. a tall and narrow collection of handcrafted storage boxes, you can easily store and access a variety of objects whilst adding a quirky talking piece to any room. Founded in 2009, Slovenian designer Atelje Mali crafts a variety of wooden homeware items, simplistic yet aesthetically appealling. We loved these Nozomi trays, designed with a selection of isometric patterns, coloured in soft pastels. 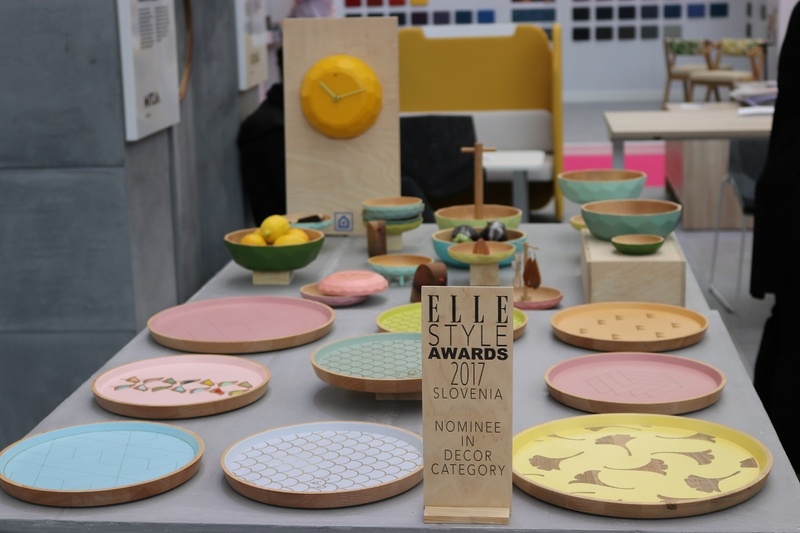 earlier this year, Atelje Mali picked up a nomination for the Elle Style Awards 2017, in the Decor category. 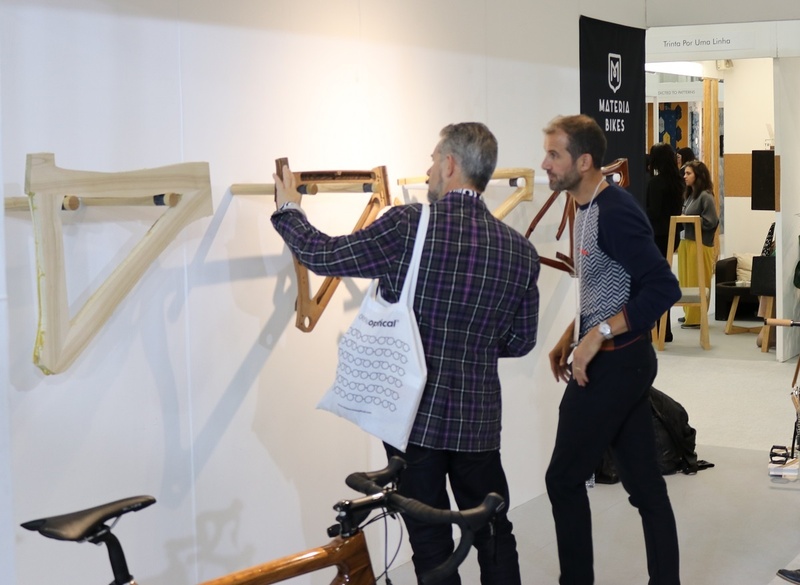 There is a great selection of designs to see this year at 100% Design, and if you haven't already, theres still plenty of time to get down to the Olympia London and see it for yourself. Just don't forget to come by and say hello to us, and enter our competition whilst you're there!